Federal Reserve Chairman Jerome Powell’s testimony to congress dominated the markets focus on Tuesday. There were no real surprises other than the Fed Chair talked about the need to be vigilant towards inflation, ‘pledging to strike a balance between the risk of an overheating economy and the need to keep growth on track’. While Mr Powell said that the ‘the central bank would stick with gradual interest rate increases’ – despite the added stimulus of tax cuts and government spending – markets are now beginning to price in the possibility of a fourth rate hike which is our anticipated scenario for this year. The market’s reaction was fairly muted with the US Dollar Index rallying 0.5% to push back above 90 while the precious metals lost ground with gold down around 1%. T Bond yields rose after the testimony, with the 10 year yield lifting to 2.91%. US indices were weaker with the Dow, S&P500 and Nasdaq giving up 1.16%, 1.27%, and 1.23% respectively. In response to the recent rise in long-term interest rates and rise in stock market volatility, Mr Powell said “we do not see these developments as weighing heavily on the outlook for economic activity, the labor market and inflation. Rather, the robust job market should continue to support growth in household incomes and consumer spending, and solid economic growth among our trading partners should lead to further gains in US exports, and upbeat business sentiment and strong sales growth will likely continue to boost business investment”. While the testimony sent Powell’s first signal to the markets that the tax overhaul and government spending plan launched by the Trump administration will not prompt any immediate shift to a faster pace of rate increases, the markets’ reading of his speech see the door now open to four rate hikes. The next rate hike is widely expected to be put through next month and I don’t expect the Fed to deviate away from this. Other than that, Mr Powell’s testimony was very much in keeping with what I was expecting and a continuation of where the Fed was under predecessor Janet Yellen. 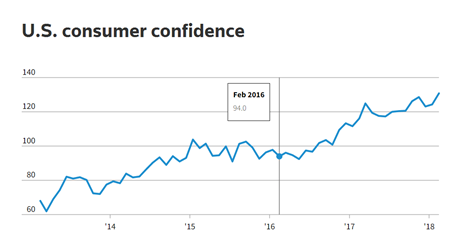 Elsewhere on the economic front, the Conference Board said its consumer confidence index rose to a strong 130.8 in February, from a downwardly revised 124.3 reading in January. That easily topped the 126.4 economists expected. This was the highest level of the consumer confidence index since reaching 132.6 in November 2000 – a seventeen year high. Optimism about employment prospects and anticipated rising wages with the recently enacted tax cuts drove the index up. The high reading also reflected confidence in employment and job security which supports consumer spending. 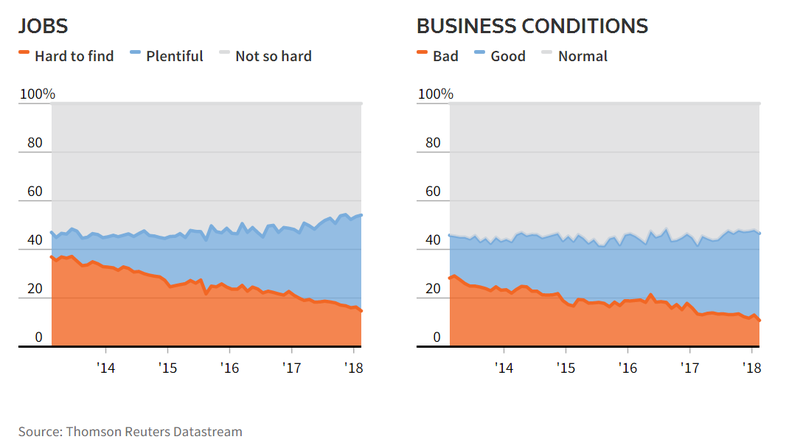 The labor differential, which measures the gap between respondents saying jobs are plentiful and those who say they’re hard to get, rose to 24.7 percentage points, which is the highest since 2001. The pan-European Stoxx 600 declined a marginal 0.18% for the day, while the Euro Stoxx 50 index of eurozone blue-chip stocks edged down 0.34%. Insurer Swiss Life gained 0.8% after posting a 9% increase in fiscal 2017 net profit to CHF 1.10 billion. 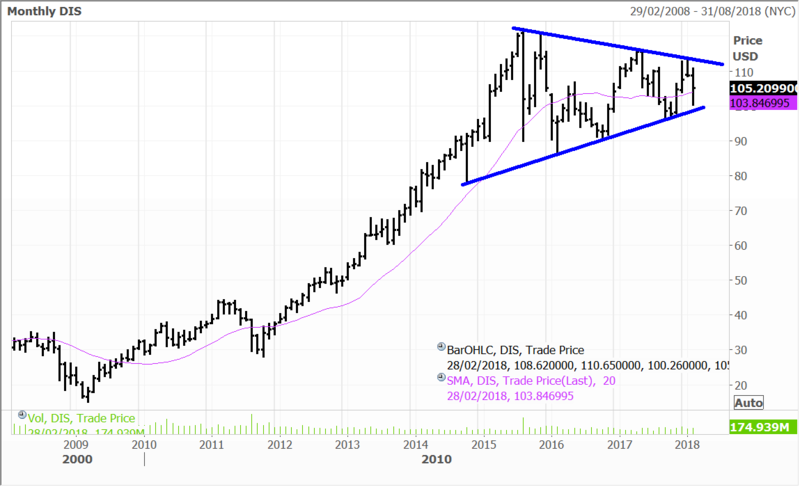 Shares of German chemical giant BASF slipped 2.1% after reporting lower 4Q17 earnings from its performance products and functional-materials segments. Fresenius Medical Care lost 2.1% after saying it would provision for €200 million in its 2017 financial statements for an ongoing settlement discussion with the US government. Shares of travel technology titan Amadeus IT Group edged up 0.3%, while Spain-listed Telepizza shares were up 1.3%. German auto giant Volkswagen was down 1.2% after it was reported the company settled another lawsuit in the US over its software that concealed diesel emissions. There are still more trials on the docket, but Volkswagen has most damages in the rear-view mirror. Telepizza and Volkswagen are held in the Global contrarian fund and the European managed account portfolio. Asian stocks were mixed in trading Tuesday ahead of the Congressional testimony to come later in the day from new US Federal Reserve Chairman Jerome Powell, which investors hoped would provide further clues on the central bank’s view on inflation and interest rates. Japanese equities rose, following the lead from Wall Street the night before as Treasury yields eased. The benchmark Nikkei gained 1.07%, led by large-caps and exporters. Robotics leaders and exporters Fanuc and Yaskawa Electric gained 1.8% and 4.6% respectively. Sony added 1.1%, truck maker Hino Motors was up 1.2% and air conditioning giant Daikin Industries rose 1.3%. Energy company Inpex was a strong performer, gaining 3.1% and insurer Dai-Ichi Life edged up 1.8%. Fanuc, Sony, Hino Motors and Inpex are held in the Global Contrarian Fund. Yaskawa Electric, Dai-Ichi Life and Daikin are held in the managed account portfolios. The Shanghai Composite lost 1.13%, breaking a six-session winning streak, with traders locking in some recent profits. The property and resource sectors led the way to the downside. The Hang Seng index dipped 0.73%, with technology and property stocks laggards. Internet conglomerate Tencent Holdings gave back some recent gains, dipping 1.5%, but remains up 115% over the past year. Macau casino operators MGM China and Wynn Macau added 1.1% and 0.7% respectively. Macau is enjoying a rise in mass-market visitation and the return of VIP to its casinos. In Australia the market pushed higher for the fifth day in the row, with the ASX200 finishing 14 points ahead at 6,056. Gains were underpinned by the banks and resource stocks, the sectors that we believe hold the key to the index breaking free to the upside in 2018. The winning streak though will likely be tested today following weakness on Wall Street and Jerome Powell’s testimony. The futures are pointing towards a 21 point dip on the open. The gate-crashing bid by Comcast for Sky overnight once again highlights how much the media landscape has changed in the modern age. The ever increasing advent of the internet and globalisation means that content is king, but distribution, and technological delivery mechanisms are equally important. Rising convergence also means that the lines between telecoms, cable and media companies are being increasingly blurred, and will likely disappear completely. This has implications in Australia, and particularly to the likes of Fairfax Media. Despite what some regulators and politicians might think, times have already changed, and ‘traditional’ media companies need to move with them – it’s a case of kill or be killed. I wrote last week about significant remarks from Fairfax CEO Greg Hywood that the company would collaborate with News Corp Australia in a bid for ‘industry-wide efficiencies’ in printing and distribution. It is not surprising that the two competitors are working together given the changes in the industry which are affecting both companies. This is also why we see value in the print side (along with the brand leverage into digital), where none is really being ascribed by the market. Fairfax was 2.7% higher yesterday, and the penny will drop in time for the market in my view. Domain aside, there are a number of key value drivers for Fairfax as it positions increasingly towards digital. There are clearly synergistic efficiencies on the table from working with News Corp and others. Ultimately the natural evolution of such collaborations (if successful, which I believe they will be) will be M&A activity. This is a wild card, and I wouldn’t rule out a cashed up suitor making a play for Fairfax at some point. We may even see regulators face up the reality that this might be an offshore name. I retain a positive view on Fairfax which we hold in the Global Contrarian Fund, as well as the Concentrated Australian and Small/Mid-cap managed account portfolios. 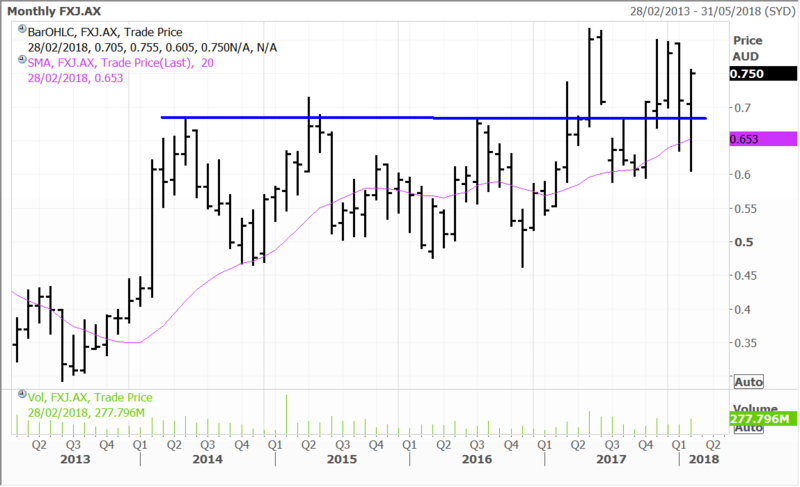 Our analyst team have also maintained a high conviction buy on the stock, which was covered in yesterday’s Australasian equities report. On Tuesday Comcast, the biggest US cable operator made a tentative £22.1 billion ($30.9b) bid for Sky PLC, topping an earlier offer from 21st Century Fox, which was seeking to consolidate ownership of the UK-based Pay-TV operator. The move is a spanner in the works for Walt Disney, which is trying to secure full control of major Fox assets and SKY, which is one of the overseas jewels in the crown. Walt Disney (held in the Global Contrarian Fund) has an agreement to buy these assets and others from Fox. Interestingly, Comcast was the other reported contender for the package of Fox assets, but Disney got the nod from Mr Murdoch, which makes much more strategic sense. I see the latest move by Comcast as really not having strategic implications for the Disney/Fox takeover, but more financial implications, and namely pricing. The Fox/Disney tie-up is a no brainer, bringing two major powerhouse content manufacturers together to create a formidable competitor to the new challengers in the sector – Netflix, Amazon, Apple and Google. Comcast is an old competitor with a business model that is rapidly being challenged. So the Comcast bid as I see it, is really more about pricing and the ensuing financial implications for the Fox/Disney tie-up – which will most probably be resolved with a larger cheque from Disney. Sky is an attractive asset dominating the UK and Europe which in turn will significantly expand the reach of Disney’s international footprint. It is in around 23 million homes across Britain, Ireland, Germany, Austria and Italy and has rights to valuable content, including Premier League soccer matches. The deal agreed with Disney as it relates to SKY only includes the 39% stake that Fox already owns. Disney had discussed seeking to take full ownership down the track should its own deal with Fox be approved by regulators. Fox’s bid for the rest of Sky faces a lot of pushback from regulators because of concerns that Mr Murdoch’s business owns too much of the media in the UK and therefore progress has been slow. Last week Fox made some more concessions to try and calm regulator concerns. Comcast has aggressively entered the fray and offered £12.50 per share for Sky shares, well above the £10.75 a share offer from Fox for the 61% of Sky it does not own. It was a fairly predictable move from Comcast and highlights the intense pressure that traditional media players are feeling to bolster their own offerings to compete with the success of video streaming giants such as Netflix and Amazon’s service. Sky shares surged 20.5% on the news and finished at 1,331.5p, already above the new higher priced Comcast offer and indicating traders are speculating this will ignite a bidding way. Comcast’s CEO Brian Roberts has said he is prepared for Fox to refuse to sell their stake in Sky, so the proposal is structured so that Comcast will be successful if it gets more than 50% of Sky. Even so reportedly there are a few hoops Comcast must jump through for this to be considered a ‘firm’ offer. Stay tuned for more on this battle and Fox and Disney’s potential countermoves. 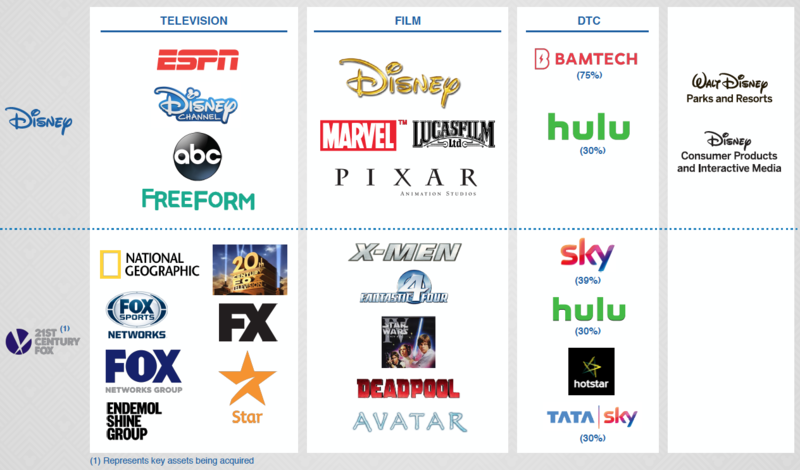 We hold Disney in the Global Contrarian Fund and see it as well placed to adapt to delivering its fantastic content offering through direct to consumer offerings going forward. At the close Comcast shares were down 7.4%, Disney slipped 4.5% and Fox (A-shares) were in negative territory to the tune of 3.3%. Separately Disney unveiled plans to invest €2 billion in the aging Disneyland Paris, expanding the resort with new areas related to Frozen and Star Wars and a new lake. CEO Bob Iger announced the plans after meeting with French president Emmanuel Macron. The development will take place over several years, beginning in 2021. Disney took back full control of the theme park last year. Disclosure: The Fat Prophets Global Contrarian Fund declares a holding in: Telepizza, Volkswagen, Fanuc, Sony, Hino Motors, Inpex, Dai-Ichi Life, Wynn Macau, MGM China, Fairfax Media, Domain and Walt Disney.